Two Egyptian films, Sheikh Jackson and Yommeddine, are being screened at the Melboune International Film Festival in Australia, which runs through19 August. Yommedine was the first Egyptian directorial debut to be screened in Cannes official competition. Directed by Abu Bakr Shawky, Yomeddine follows a leper named Beshay who leaves the confines of the Abu Zaabal leper colony for the first time, embarking on a journey across Egypt. In the company of his orphaned apprentice Shika, he goes in search for what remains of his family. Shawky, who was born in Cairo in 1985, studied political science and filmmaking in Cairo, and graduated from the NYU Tisch School of the Arts graduate film programme. Written and directed by Amr Salama, and co-written by Omar Khaled, Sheikh Jackson was released in 2017 and premiered at Egypt’s Gouna Film festival. Set on the day of Michael Jackson’s death in 2009, the film centres on a sheikh who was dubbed ‘Jackson’ by his friends during his schooldays for his Michael Jackson impressions. The story goes on to explore the emotions stirred by the pop star's death, sparking a series of existential questions within the sheikh. 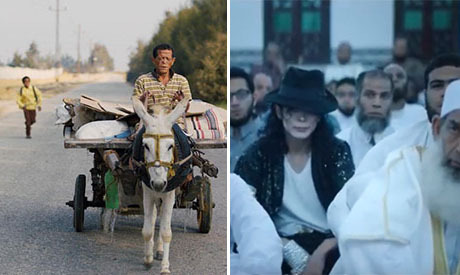 Sheikh Jackson also screened at the Carthage Film Festival (JCC), Cairo International Film Festival (CIFF), and the Arab Cinema Week in New York. The Egyptian Cinema Syndicate selected Sheikh Jackson to be Egypt's official submission to the Academy Awards for Best Foreign-Language Film, though it wasn’t nominated for an Oscar. Both films will be screened twice. The festival includes other films from countries in the Middle East and Africa, including Palestine, Lebanon, Qatar, and Tunisia.